Newcastle United return home to face league leaders Chelsea on Saturday. After an excellent month of November, the Magpies have stumbled in their last two matches against West Ham United and Burnley. Alan Pardew’s club fell behind Burnley on Tuesday, but was saved by a Papiss Cissé equalizer just after half-time. Newcastle will welcome back Moussa Sissoko and Jack Colback, who were both suspended for the last match. However, they are still without several key players due to injuries. José Mourinho’s Chelsea side are currently the class of the Premier League. The Blues sit first in the table after 14 matchdays and currently hold a six point advantage over second-place Manchester City. They are coming off a 3-0 defeat of Tottenham on Wednesday. Newcastle remain a hurting club. Injuries have begun to take their toll on results with the club looking sluggish at times in their last two matches. However, it does look like they could finally be getting healthier. Steven Taylor and Cheikh Tioté returned from injuries last weekend. While Mehdi Abeid recovered from a toe injury to start against Burnley. The return of Colback and Sissoko from suspension will also help matters on Saturday. Rolando Aarons (Hamstring) and Fabricio Coloccini (calf) are not expected to return against Chelsea. Tim Krul (ankle), Siem de Jong (thigh), Ryan Taylor (knee) and Gabriel Obertan (thigh) are all at least a few weeks away from returning. While Davide Santon (knee) and Jonas Gutierrez (cancer) are both out indefinitely. In contrast, Chelsea are a very healthy club. Spanish-Brazilian striker Diego Costa sat out the mid-week encounter because of a yellow card suspension, but will return against Newcastle. Nemanja Matic was given his fifth yellow of the season against Tottenham and will be suspended for this encounter. Gary Cahill suffered a head injury in the last match but appears to have avoided a concussion. Newcastle started the match against Burnley with two strikers, Ayoze Pérez and Papiss Cissé. The club managed little in the first half, and Pérez was replaced by Remy Cabella at half-time. It is likely that Pardew will go back to the 4-2-3-1 formation that has worked well for them this season. Colback and Sissoko should take their normal positions at the heart of Newcastle’s midfield. Cabella looked much-improved after coming on against Burnley and it appears likely that he will start on Saturday. Rob Elliot will be in goal in place of the injured Tim Krul. José Mourinho is not expected to rest any key players for the match. His club has already advanced to the knockout stages of the Champions League, making next week’s encounter with Sporting Lisbon meaningless. The Chelsea boss has yet to win a match at St.James’ Park in his career. Diego Costa will slot back into his normal spot in the starting line-up at Didier Drogba’s expense. The loss of Matic is bound to make victory more difficult. However, this club has more than enough talent to compensate. His position is likely to be filled by Ramires. The match will mark the return of Loïc Remy to St. James’ Park. He should be on the bench on Saturday. Mourinho is expected to use the 4-2-3-1 formation, which has been his preferred choice for a while now. Diego Costa leads the club in goals this season with 11. He should be a constant menace to the Newcastle defense with his running and physicality. Brazilian midfielder Oscar should pull the strings once again in the centre of midfield for the Blues. Cesc Fabregas has been terrific since returning to England and currently leads the Premiership in assists with ten. Chelsea might look invincible on paper but they have demonstrated some weakness of late. Their previous trip to the North-east did not work out to plan. They were held to a scoreless draw by Sunderland and were lucky to escape with a point. The club has managed four victories and three draws in seven matches away from home this season in the league. Newcastle have had a good record against Chelsea of late. The clubs have split their last six encounters, with each winning three. The Magpies beat Chelsea 2-0 at St. James’ Park last season. But Chelsea returned the favour with a 3-0 defeat at Stamford Bridge in February, with Eden Hazard scoring all three. The hosts are happy to return home after getting only one of the possible six points against West Ham and Burnley. The Magpies are unbeaten in their last five matches at St. James’ Park. And they will be encouraged by the return of Colback and Sissoko. But the club needs to start matches with more rigour. They have scored only two goals in the first half so far this season. 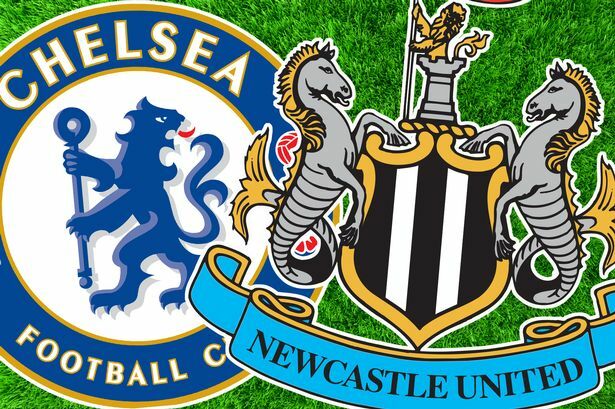 There is no question that Chelsea is the biggest test that Newcastle have faced so far this season. The club has managed well despite missing several key players because of injuries. Newcastle should rise to the occasion in front of their home fans but it will not be enough for a victory against a solid Chelsea side. The match will end in a draw.